Speaking of my little, and quite spontaneous, tour de Latvia, I have to mention the fact it was made in company with Butterfly Twists foldable flats. Now this British brand is my latest fashion discovery. Have to admit that foldable flats is a real must for a modern day lady. First of all, one can always put it in a bag, while wearing heels, and it won't take much space. Secondly, one can always change her shoes when she's tired of walking around in heels. And, finally, I can assure you that these flats are super comfortable - it feels like you are wearing your slippers. So for me Butterfly Twists is about practicality and style at the same time. 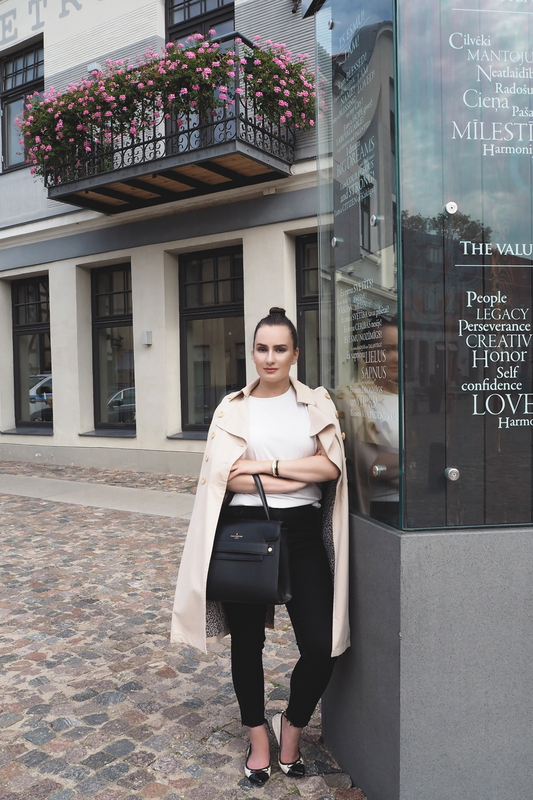 When it comes to my outfit during this tour de Latvia, I wanted it to be super simple and comfortable. Also, I wanted to sort of celebrate the fact Butterfly Twists is a British brand and bring more of these vibes in here. So I added my favorite Paul's Boutique bag and fine Whistle + Bango jewelry. Going to be honest, working with more and more British brands makes me super happy as it means my bond with the country is still strong, and gets even stronger. Well, the trench coat turned to be the final touch within this outfit. 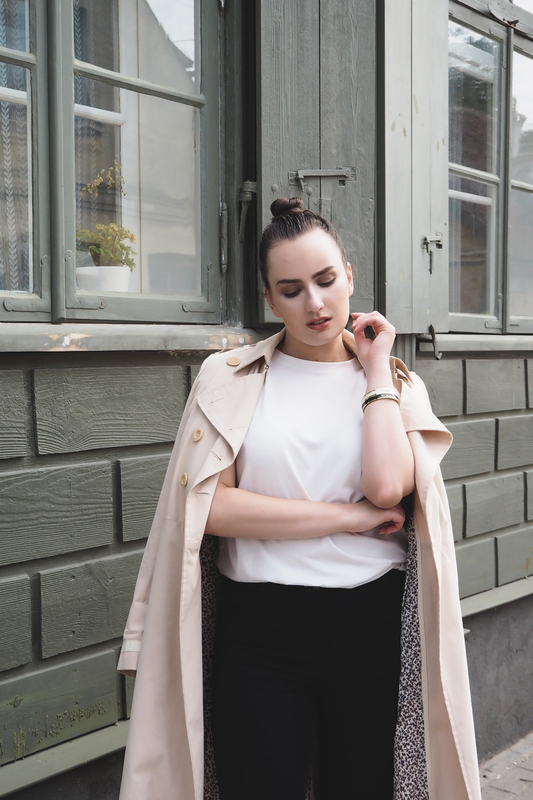 Because what speak of truly British vibes better than a good trench coat, right?